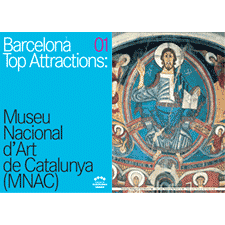 The MNAC preserves and exhibits Catalan art from the 11th century until the 1940s with works of artists as El Greco, Zurbarán or Toulouse-Lautrec, among others. 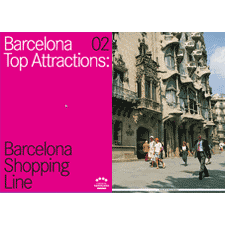 Barcelona is the city of shops and its main retail thoroughfare is the Shopping Line. Coveringa an area of 5 kilometres. 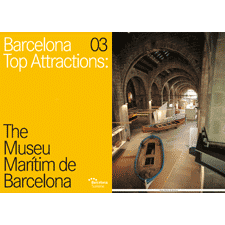 The Museu Marítim, located in the Royal Shipyards, a magnificent Civil Gothic building is the mirror, which reflects man's great seafaring adventure. 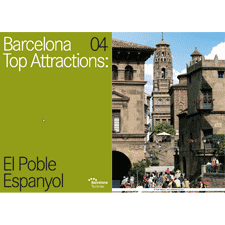 El Poble Espanyol is an open-air museum with buildings of great architectural beauty and a large array of shops, craft workshops, restaurants and activities for all ages. 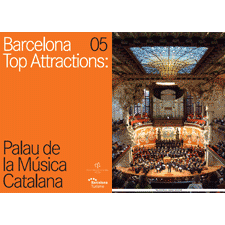 The Palau de la Música Catalana is a jewel of Catalan Modernisme designated UNESCO World Heritage Site. 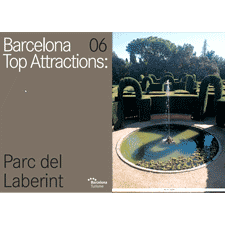 A neo-classical-style garden and design of its maze, enraptures visitors with its romanticism. Throughout its history, it has provided the setting for royal receptions, theatre performances and film shoots, such as Perfume. 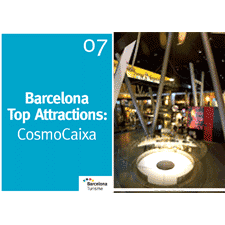 CosmoCaixa Barcelona, science and environment. 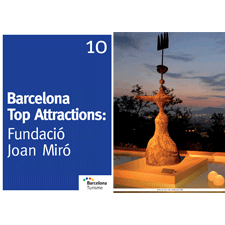 In a spectacular building covering 3,000 m2, located next to an interesting modernist house, man and nature merge in an entertaining museum full of surprises. 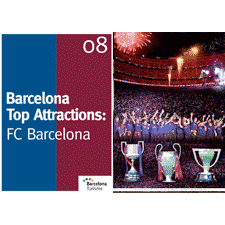 Futbol Club Barcelona or Barça, as it's known around the world, with more than 100 years, is more than just a football club and it's more than a club. 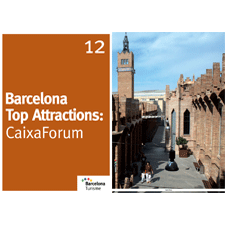 It's one of the standard-bearers of Catalonia, of Catalan culture, and of the city. 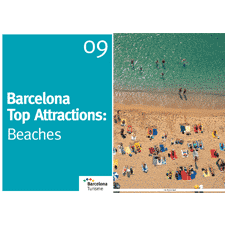 The city's excellent climate means that you can enjoy the beaches all the year round. 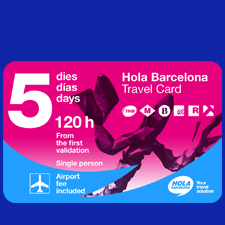 By the sea, you can soak up the genuine maritime atmosphere of the Barceloneta, the futurism of Diagonal Mar and the Mediterranean flavour of the Olympic Marina. 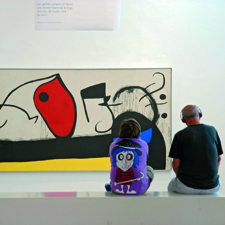 The Fundació Joan Miró is the main home to works by the artist, with more than 14,000 exhibits, and it's the first public institution in Barcelona which sought to specialise in contemporary art. 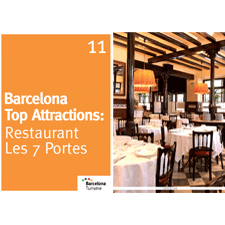 Les 7 Portes is one of Barcelona's landmark restaurants and safeguards the Catalan gastronomic tradition with its extensive repertoire of classic dishes. 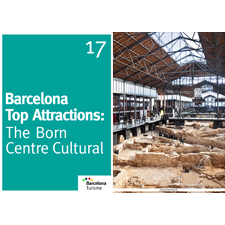 It's a social and cultural centre which offers a wide range of exhibitions and activities for young and old alike, and it's housed inside a masterpiece of modernista industrial architecture: the former Casaramona textile mill. 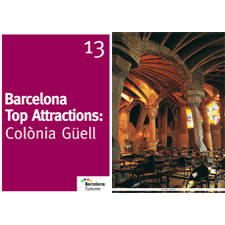 A modernista gem founded by Eusebi Güell and tucked away like a peaceful oasis in the heart of the countryside, just 15 minutes from Barcelona. 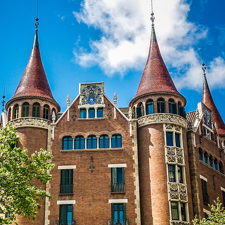 This magnificent complex contains one of Antoni Gaudí's least-known works. The perfect balance between the tradition and superb pedigree of a local brewery coupled with a commitment to a modern gastronomic, artistic and cultural project. 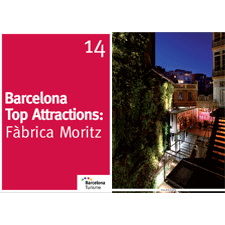 The Fàbrica Moritz Barcelona (FMB) reopened in November 2011. 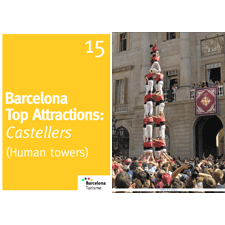 On one of the most important days of the main festival in neighbourhoods and villages throughout Catalonia, the council square is packed to overflowing with people. 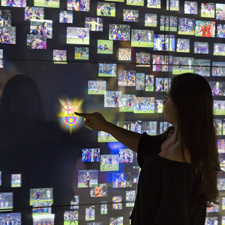 They gather to see the most eagerly awaited display. 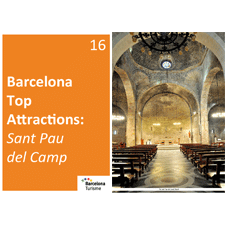 The Sant Pau del Camp church is one of the undiscovered Barcelona's architectural heritage jewels. 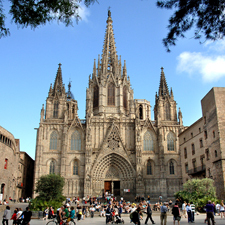 The small temple is the remains of an ancient Benedictine monastery and is the only Romanesque building that survives in the city. 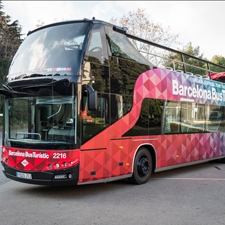 A cultural street open to everyone that links up the Passeig del Born with the Parc de la Ciutadella. 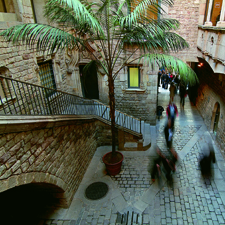 A hub that connects Barcelona's past and present under the majestic structure of one of the city's first cast-iron municipal food markets.